Self study classes contain lecture, video material and structured activities to help you with your training. There are no interactive forums. Below is a list of currently available classes – click on the button beneath each class for an expanded description and follow the link to the FDSA website to see a sample lecture and to purchase any class that interests you. Each self study course is $50 and is available for purchase at anytime. 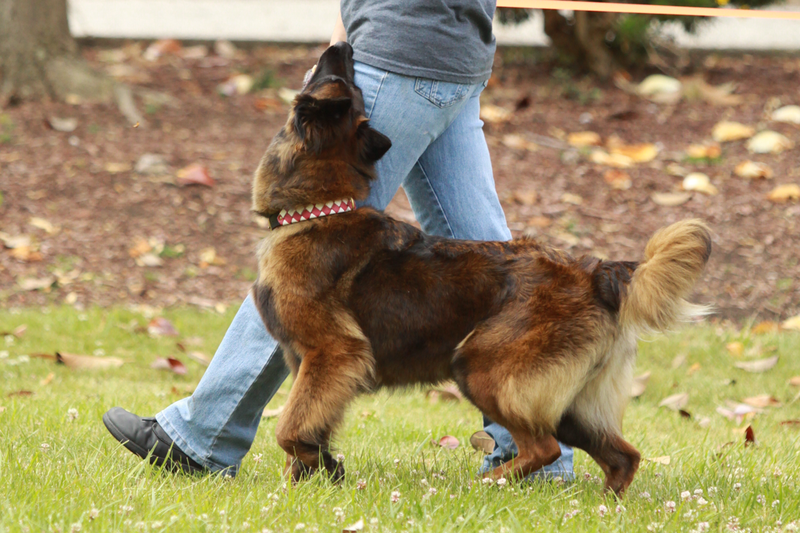 Many dogs lack precise heeling because they have no foundation – they do not understand how to use their bodies with accuracy, and their trainers don’t know how to fix heeling mistakes when they occur. This class will give you specific tools that you can use to develop your heeling foundation, without using a leash, special collar, or any compulsive techniques. We will use placement of food reward, platforms and discs, “pocket hand,” and activities that teach you and your dog exactly where heel position is located. Static position (as opposed to moving) will be the primary focus. 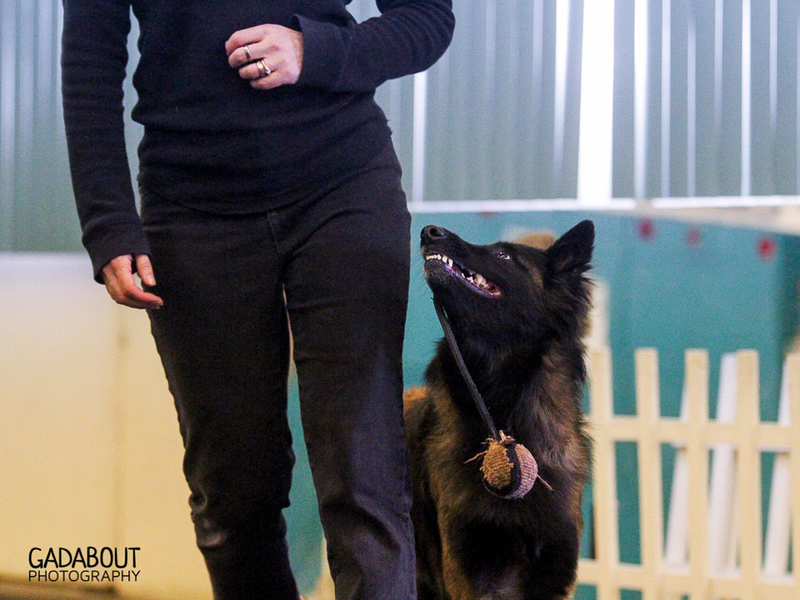 This course adds additional people, dogs, challenges and more complex exercises to the ones introduced in the Ring Confidence Course. Each of these exercises is designed to target a specific aspect of the competition ring. We will consider the role of additional people, dogs and environmental distractions to our work. While most of the exercises will continue to focus on creating a super bright and positive attitude towards the ring, we will now add some work within the ring, so the dog can become comfortable either playing or working in a competition setting. THIS CLASS ASSUMES AN ABSOLUTE MINIMUM OF TWO PEOPLE PER EXERCISE, and many require more! Done well, heeling is an intense, exciting dance between engaged partners requiring absolute concentration and energy. When heeling is practiced as a series of specific behaviors – left turns, right turns, change of pace, etc. – the dance is lost. This class will teach you how to practice heeling as a game – with the end result that your performance will be sharper, more interesting, and with much improved focus and endurance. 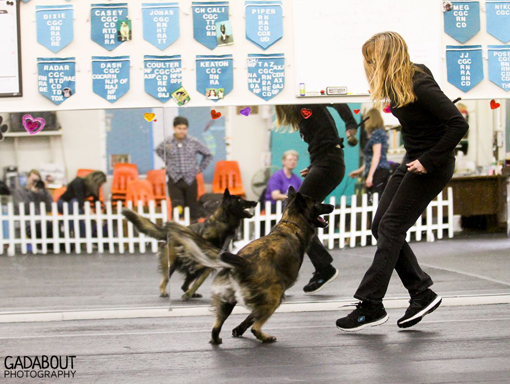 To utilize this class, a dog needs a few steps of good quality heeling but not much more than that! 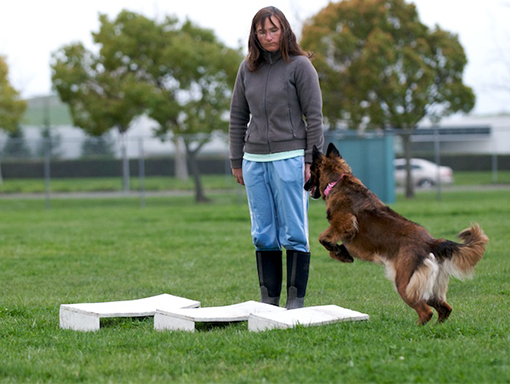 Ob-ility is a fast paced and exciting way to teach advanced obedience exercises to dogs that like to move! In this class, we will introduce the basic ob-ility cues (fly and thru) and demonstrate how to use them to teach any dog several fundamental obedience exercises. All dogs will be introduced to the ob-ility method of teaching the broad jump, high jump, recall, directed jumping, gloves (no retrieves required! ), drop on recall, retrieve on flat, and the signal exercise. 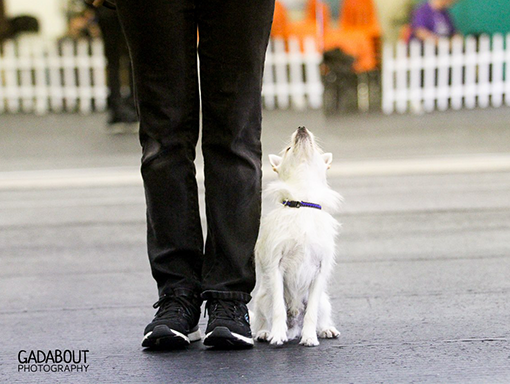 This class is appropriate for any dog or puppy with or without fundamental obedience skills. This class is designed to combine precision heeling elements and advanced heeling skills to create the best possible combination of precision and enthusiasm. Denise will address almost all skill based heeling issues using extensive lecture and video materials. Concepts from Precision Heeling and Heeling Games will be used in this course and Denise will presume a working knowledge of basic precision and heeling games techniques, including the correct use of discs, pocket hand, “fly,” etc. We’ll focus on making our pint-size partners more comfortable in training, work and play! This class will provide a range of foundation skills, exercises, and modifications to allow you to progress more rapidly when you do start to introduce the specifics of your sport. 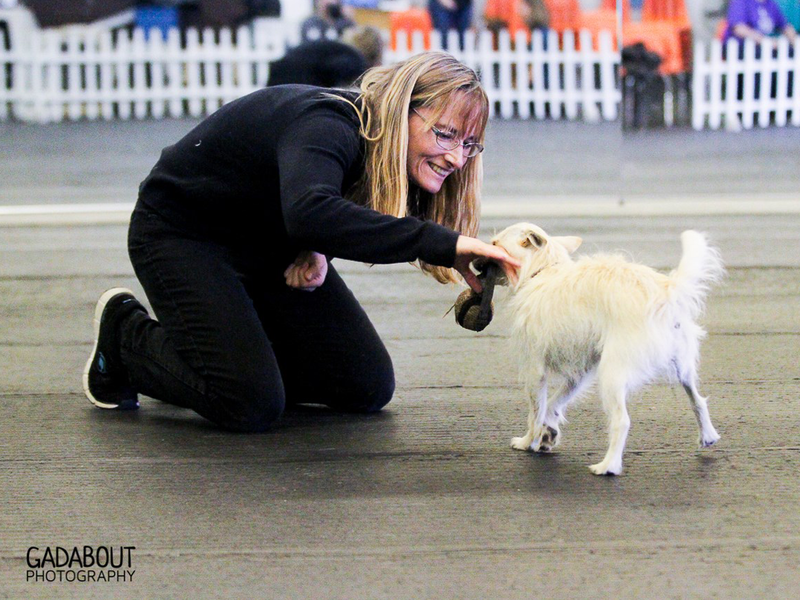 Join Denise and her super star small dog Brito and learn how to make your small dog as confident as possible in this full sized world! Please Note: This class is also appropriate for larger dogs who are simply extra sensitive and need a confidence boost. If you think competition dog sports looks interesting but you’re overwhelmed at what it might take to get “from here to there” then this is the class for you! 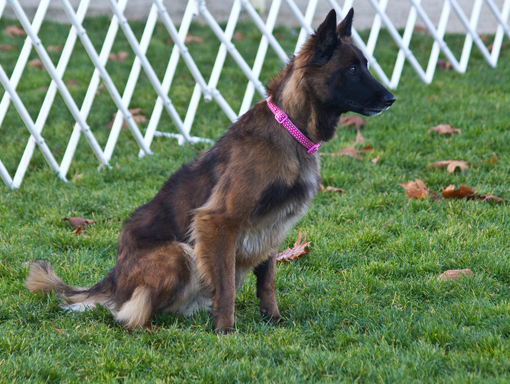 We’ll consider all of the pieces required to train a dog for competition, broken down into manageable and distinct pieces. We’ll learn how to do proofing, reducing reinforcement, and taking your training on the road, and then we’ll build those pieces back up into the exercises required for your competition. In the process, we’ll also talk about your dog’s temperament, the expectations of the competition environment that you have targeted, and create a plan for exactly how you will get there. OB700: Shaped Precision Heeling: No Props, No Lures, and No Editing! This class is completely unique! For 28 days Denise recorded all of her training sessions shaping the foundations of precision heeling for Brito and Lyra. There is no formal lecture included with these lessons; instead, you will have a process of learning by observation. This is a class for advanced trainers! Denise will assume that you have the skill of shaping, and that you are able to deduce by watching what she is reinforcing, where she is offering support and what she is ignoring altogether.